Communities Secretary Eric Pickles raised the flag of the Cayman Islands today outside the Department for Communities and Local Government in Whitehall, London, to mark the national day of the Islands, the first Monday of July, and as part of the new flag flying programme by the Department in this Jubilee year. On 28 June, the Government published an Overseas Territories White Paper; one of the goals is to raise awareness in the United Kingdom of these British communities, lands and seas around the world. Mr Pickles has asked for the flags of the United Kingdom’s Overseas Territories - from Anguilla to the Turks and Caicos Islands - to be proudly flown by the Department as part of a formal recognition of the continued important and close relationship with the country. This follows from a programme of flying England’s county flags last year. 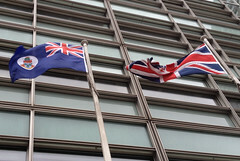 The Cayman Islands’ flag is being flown alongside the United Kingdom’s Union flag, which is flown all year round. The flags will be flown at appropriate times in the coming months to recognise national days of significance. Britain has 14 Overseas Territories which encompass over 600,000 square miles and are home to 260,000 people - more than Nottingham or Newcastle. The Department provides advice and guidance to Territory Governments in areas where it has relevant expertise - in particular planning, housing, and fire safety and rescue services. First noted by Christopher Columbus in 1503, the Cayman Islands are a major world financial centre whilst its famous Seven Mile Beach is a renowned tourist attraction. 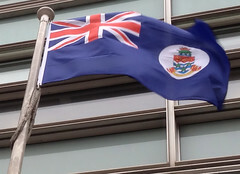 The Cayman Island flag design includes their coat of arms which features a pineapple and turtle above a shield with three stars (representing the three islands) and a scroll at the bottom bearing the national motto, ‘He hath founded it upon the seas’. I’m delighted to see the flag of the Cayman Islands flying proudly outside my Department. British Overseas Territories play a vital role in our sense of national identity and the Government’s vision is for the Territories to be vibrant and flourishing communities, proudly retaining aspects of their British identity and generating wider opportunities for their people. I look forward to seeing many more flags of the UK’s overseas territories flying in the coming months especially in this year of celebration. The Department is currently assessing responses to a discussion paper on relaxing the planning regime on flag flying and allowing people to fly more flags without having to seek and pay for planning consent from their local authority. 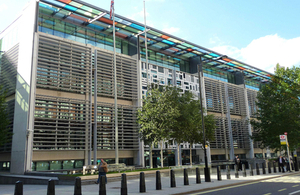 The Foreign and Commonwealth Office published a white paper on Overseas Territories on 28 June setting out its overall approach to the Overseas Territories. It can be found here: www.fco.gov.uk/en/about-us/what-we-do/overseas-territories/overseas-territories-white-paper/ (external link).